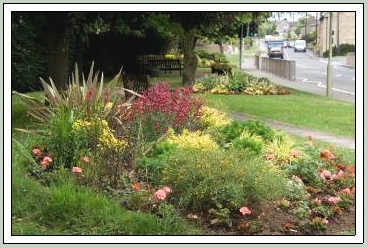 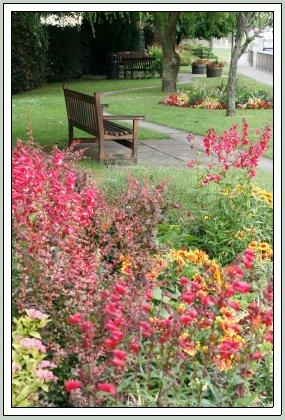 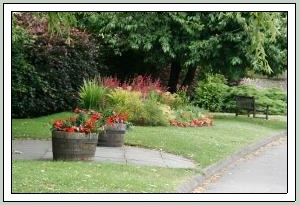 Up to and including 2005, the three London Road beds were planted with colourful formal bedding displays. 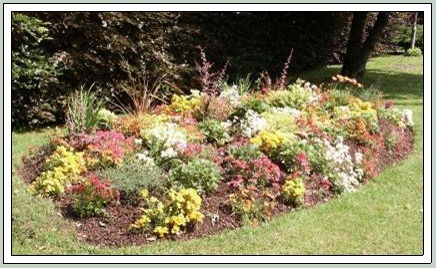 We planted a frame work of sustainable red berberis, yellow choisya and phormiums together with perennials such as potentillas & geum in the same colour theme to provide all year interest. 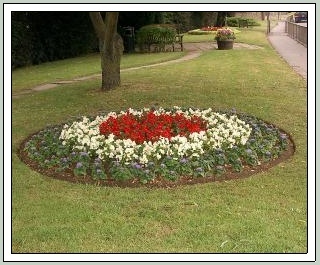 The beds were then completed with yellow, red and orange nemesia. 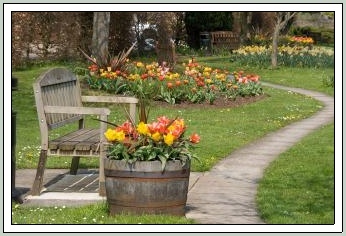 In 2007 the beds had done very well over their first year and in the Autumn we added many daffodil and tulip bulbs to create a wonderful Spring display in Spring 2008. 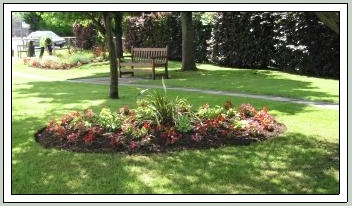 In 2008 the beds have started to mature nicely and the colour scheme is a definite success. 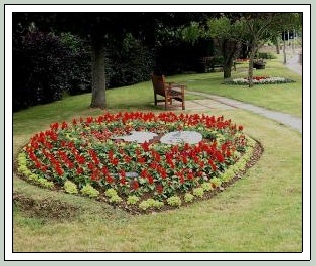 Bedding of antirrhinums, geraniums and begonias are used to keep the colour going all season long. 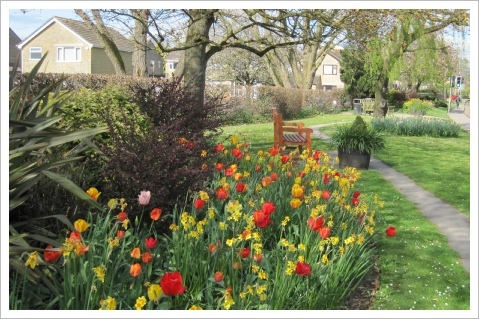 In 2012 after struggling for years in the shade and dryness caused by the willow tree, we decided to grass over the central round bed but left the daffodils so that every spring they come up and form a fantastic display together with the tulips in the other beds. 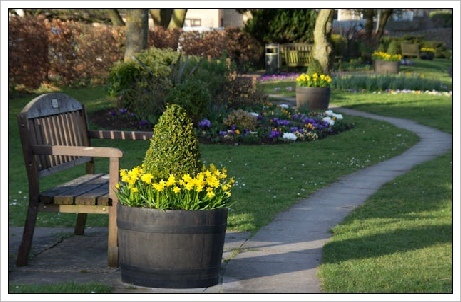 To maintain an interest at all times the six tubs have been planted with a central cone shaped box tree. 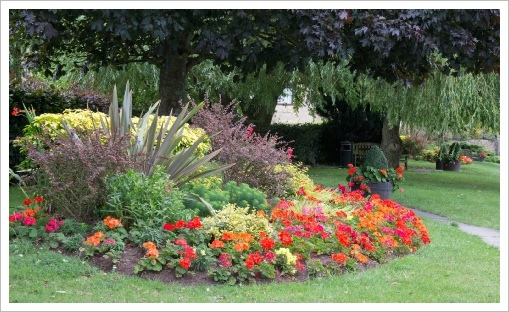 These are planted with geraniums during the summer months and have Tete a Tete which come up every year.